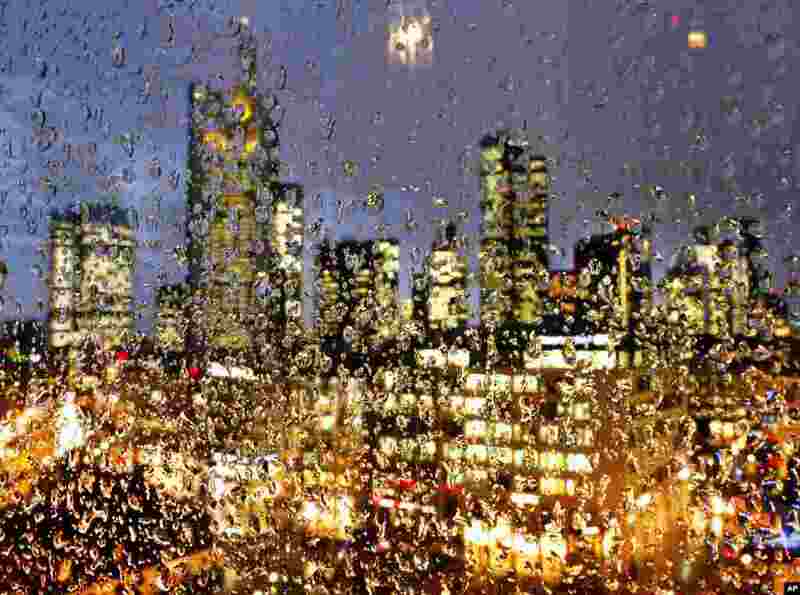 ١ The buildings of the banking district are seen through thousands of rain drops on a glass railing in central Frankfurt, Germany. 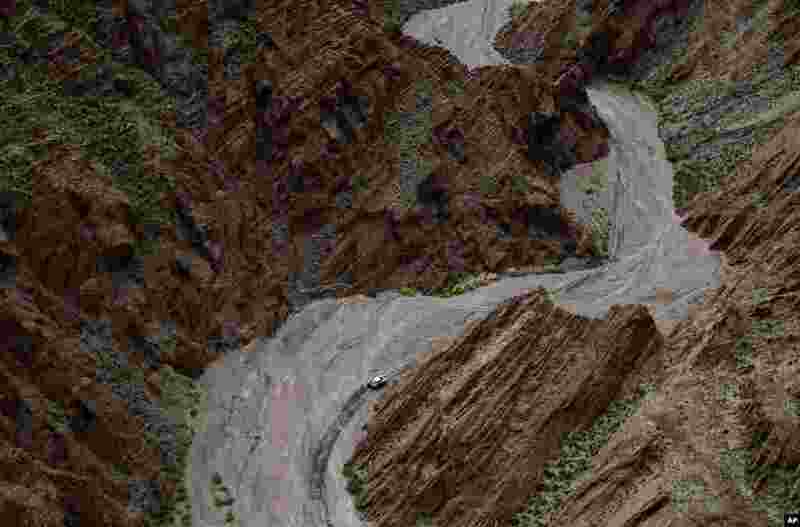 ٢ Peugeot's driver Sebastien Loeb, of France, and co-driver Daniel Elena, of Monaco, race during stage 8 of the Dakar Rally between Uyuni, Bolivia and Salta, Argentina. 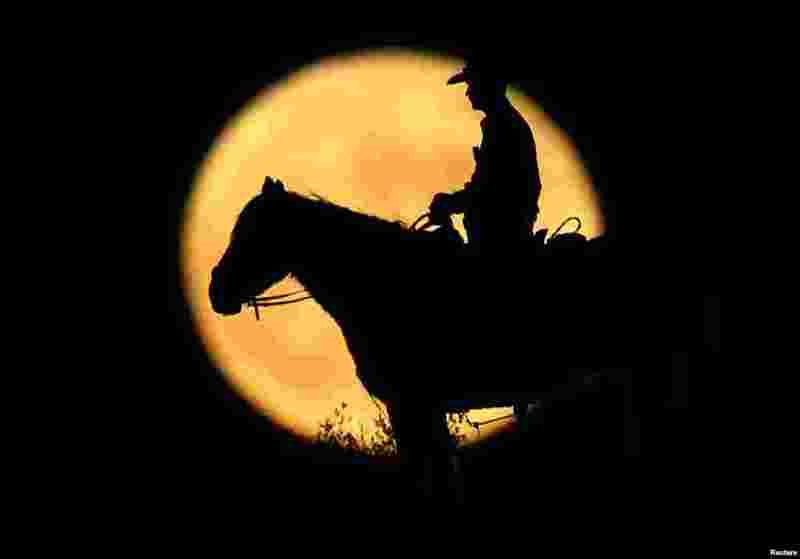 ٣ A full moon rises behind U.S. Border Patrol agent Josh Gehrich as he sits atop a hill while on patrol near Jacumba, California. 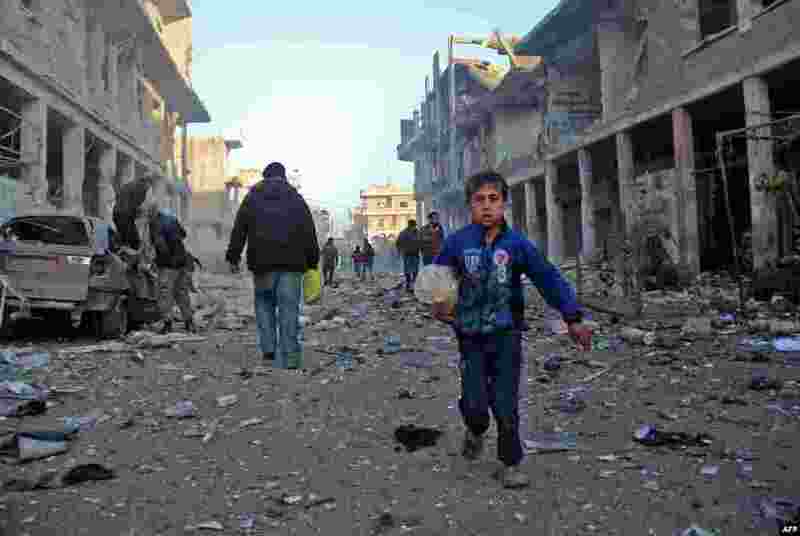 ٤ A Syrian boy runs while carrying bread following a reported airstrike by government forces, in the Syrian town of Binnish, on the outskirts of Idlib.